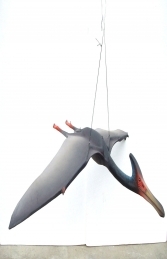 The Giant Pteranodon model would be ideal to suspend from a ceiling or tree for use with our other models in the dinosaur range to give a real pre-historic feel to any Jurassic display area. 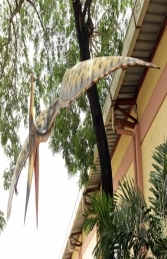 This amazing life-size Giant Pteranodon model will make a huge impact and attract public attention in any themed Dinosaur area. It would be ideal to make the centre-piece of a pre-historic display with our range of large dinosaur models. 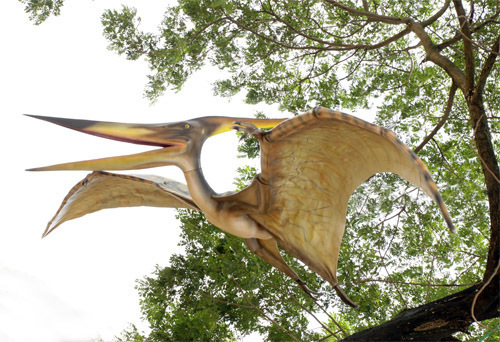 Why not pair him up with the Pterodactyl Big Bird (JR 1876). 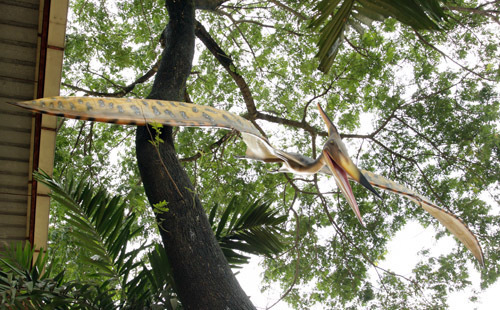 The Giant Pteranodon can be easily suspended from a ceiling or trees. 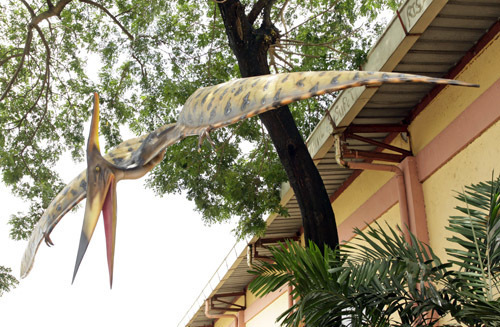 The wings are detachable to make for easier transportation and storage.